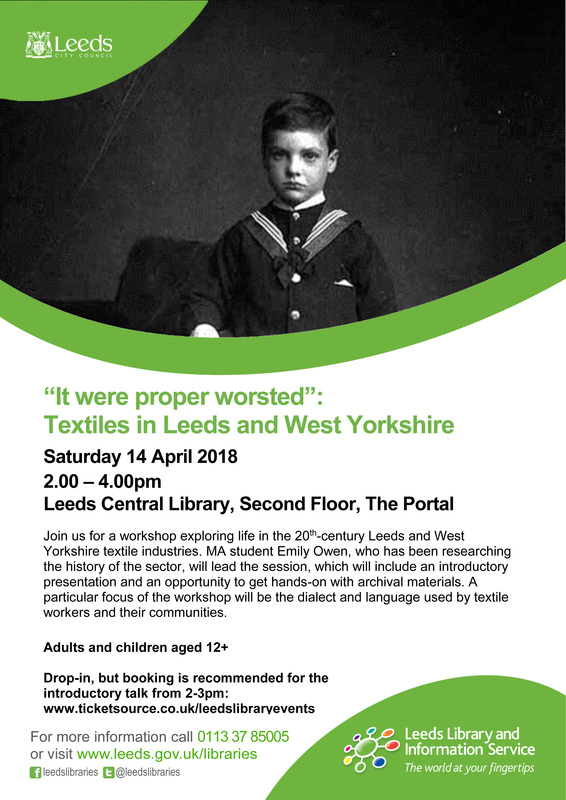 Join us this a week on Saturday for a fascinating workshop delivered by Emily Owen, who has been researching the textile industry in Leeds. You can read more about Emily’s work in a previous blog article. Emily continues to be interested in hearing from any one with memories of life in the textile industry – please contact her via the Local and Family History department to contribute your voice to her research.